As a springer spaniel owner, I’ve never found myself asking “Why Won’t My Dog Eat Their Food”. If it stands still long enough, they eat it! But every week I work with customers who come to us for help when their dog won’t eat their food. While it could be tempting to change their food as a method to get them eating again, it’s important to truly understand why they are experiencing a loss of appetite. Changing your dogs’ food without understanding why they’ve stopped eating it could quickly result in a vicious cycle. They may start eating a new food for a few days before they then turn their nose up again in the hope of something new or something else. Perhaps even your own food! It’s amazing how quickly dogs adapt and learn that you’ll resort to feeding them from your fridge when they choose not to eat their own food. 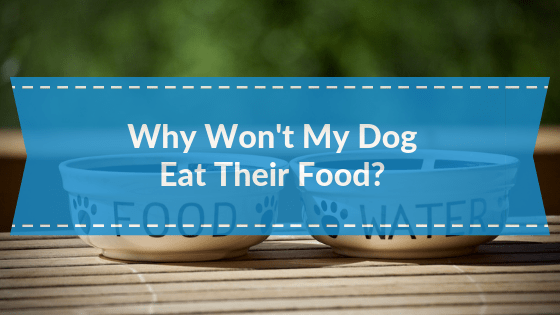 So, are they just being a ‘fussy’ eater or is there another reason why your dog won’t eat their own food? #1 Is Their Dog Food Always Available? Do you pour your dog food into the bowl and then let your dog graze? Now’s the time to start lifting the bowl after meals, whether they have finished or not. The reality is that missing one meal will not do any major harm to your dog and they should learn that they can’t hold out for other treats and graze when they feel like it. If you are using a high-quality food you are really happy with, then do try this! #2 Are They Being Fed Too Much? Check how much food and treats your dog is being given outside of mealtimes. If there is more than one of you at home, try to be honest about those treats and snacks that they are being given. It’s very easy for one small treat to become three! #3 Has Your Dog Food Gone Off? Check your dog food label for expiry dates and that it hasn’t gone off. Perhaps your storage isn’t airtight or maybe it’s been left sitting in the sun? Some dog foods like Guru come in resealable bags (amazing when travelling). But if you suspect your dog food is spoiled, replace it and make sure it’s stored in a cool dry place. #4 Has Their Environment Changed? Our dogs can be creatures of habit and a change in their routine or environment may cause them to go off their food. Have you moved home? Is there a new baby in the family? Or have you changed your working hours or time at home with them? Even a change of bowl could have sparked a change in them and one customer found that a new dog tag kept bouncing off a bowl, frightening their dog. Check and re-examine their environment to consider if a change has sparked a loss of appetite. #5 Could They Be Feeling Unwell? Is your dog behaving normally bar not eating? If your dog is drinking water normally, their poo and pee frequency is unchanged, along with the quality of poo, and they seem generally well in themselves, then it may be down to the choice of food. Any differences in behaviour, diarrhoea or vomiting, overall well-being or weight loss, then do make sure you consult your vet asap to rule out any health issues. Their loss of appetite could be down to them purely feeling unwell. #7 Could They Have A Dental Issue or an Injury? Is there an underlying issue with your dogs’ teeth? Carry out a quick health-check of your dog, by examining their mouth for broken, loose or bad teeth. Are their gums inflamed or off colour? Also check over their body for any bites, lumps or even injuries and parasites. 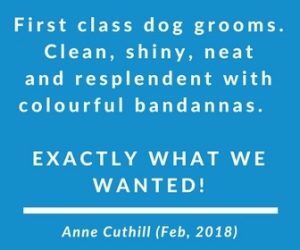 If you spot something unusual or if you have any doubts at all when doing a health check, then book a session at your vets for peace of mind. #8 They Just Don’t Like Their Dog Food! Have you eliminated all of the above reasons? Have you sought advice from your Vets? 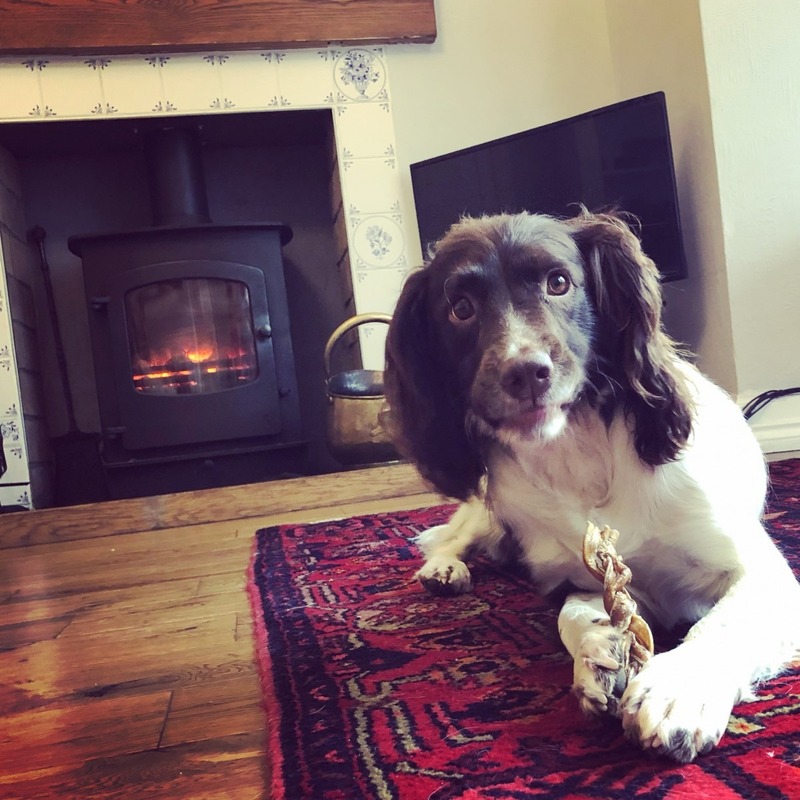 If you have, then it may be time to consider changing your dog food, whether that be the flavour or protein type, brand or type of food you are feeding them. Don’t’ forget to follow guidelines for transitioning them over to a new food. Mixing their current food in with the new may itself start to get their interest back again. Top Tip – never base a new food decision on whether your dog will eat a sample of food in the shop you are purchasing from. 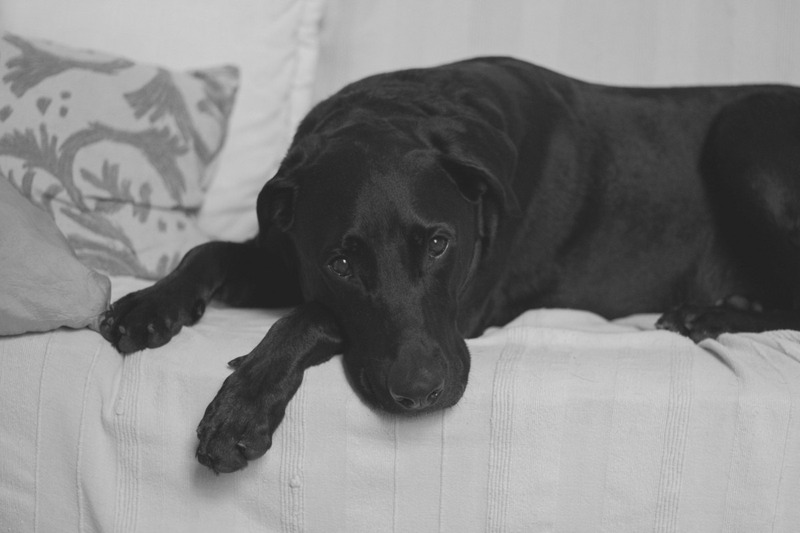 There are circumstances where a dog may not eat in that environment (and love it at home) and vice-versa. So make sure you try a sample at home. Has your dog ever gone off its food? Did you get to the bottom of why this happened? Or do you still struggle with having a fussy eater? I’d love to hear your stories and struggles with dog food in the comments below.